We all know Martin Luther King’s famous speech, “I Have a Dream,” delivered on August 28, 1963 in front of the Lincoln Memorial during the March on Washington for Jobs and Freedom. 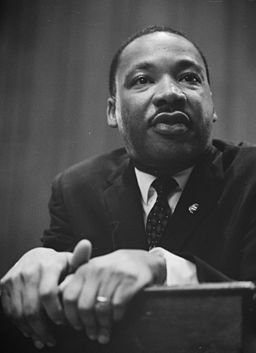 However, a few years earlier in December 1956, as a young preacher and an avid civil rights activist, King made a lesser known but equally powerful and inspiring speech titled “Facing the Challenge of a New Age” at the first annual Institute on Non-Violence and Social Change in Montgomery, Alabama. The address carried the signature of King’s grand style, rich in classical and Biblical allusions. The script of the address is available on JSTOR. Also, for a complete biography of Martin Luther King, please see American National Biography Online. Another of my favorites is his Nobel acceptance speech. MLK is a recurring example when I talk to clients about what can be accomplished with a confident and charismatic leader.